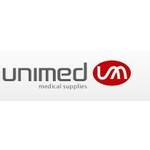 UNIMED Medical Supplies Inc. is a professional provider of medical supplies and accessories products, which specializes in design , manufacture, distribution and services. It is a subsidiary of a public listed company in China. Established since 2004, UNIMED headquarters in the coastal city of Shenzhen, which is regarded as the ‘silicon valley’ of the China’s medical electronics industry. 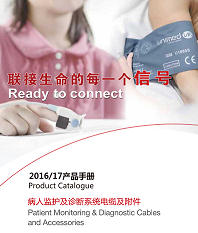 In Shanghai locates our second fully owned manufacture base- Care line Medical supplies Inc. Unimed also plans to set up branch offices in the US and Europe during 2012-13. Our design is to be one stop solution provider of medical accessories and supplies, UNIMED dedicates itself to supplying comprehensive high quality products & services to meet the customers’ demand from all over the world. In UNIMED we highly regard the values of ‘Respect, Inclusive, Innovation, Health and Credibility ’ in our daily conduct, which form the cornerstones of the company’s culture. Customer satisfaction, employee’s happiness and social responsibility guide the enterprise’s management and operation as principles. With the proven expertise, global perspectives, as well as the down-to-earth attitude in what we do, we are confident and aspired to continue growing the company as one of the world leading medical device providers.